Video games are made to entertain, to provide a challenge, or maybe to let the player escape the stress of real life for a while. This is why gamers buy games, for the most part. That’s why series like Fallout, Battlefield, and Civilization are so popular. We feel accomplished and thrilled when we rank-up or complete an objective. Game can also tell stories and let the player shape the worlds of those tales. But what else can you get from playing video games? I have been playing Europa Universalis IV recently, and conquering all of Europe never felt so uplifting. When I first started playing, I did what everyone does when faced with a new game: I learned how the mechanics worked and what strategies fit my style. Great – I learned how to play a new game. But, what else did I learn? I learned about the true power of the Ottoman Empire. I learned that Russia can trace its roots back to a nation called Muscovy. I learned about the Habsburg Monarchy and their connection to the Holy Roman Empire. I learned more about world history playing Europa Universalis than I did in school. But that’s a skewed example. I mean, Europa Universalis is a game based on world history. 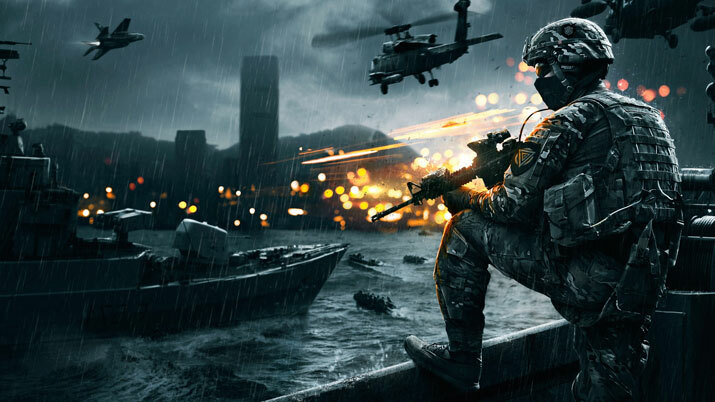 What could you learn from a game like Battlefield, or Call of Duty? You can learn about different world conflicts, for example, the First and Second World Wars, the Vietnam War, and the Cold War, for starters. But what of the made-up conflicts in the more recent installments of these series? I’d argue that the un-historical stories of the franchises are insights into contemporary international relations. Why, for example, is the enemy for so many of these games the Russians or the Chinese? Could it be a reflection of world politics? That could be a bit of a stretch, but the point remains. You can learn a whole bunch about history and the world through video games, but that’s only half of the boss fight. What is more powerful than having all this information and knowledge laid out before you? Interest! When you are interested, you are more likely to research more about the game’s background, or study what the game references. I started out merely playing Europa Universalis, but that grand strategy game sparked my interest in history, and now I’m reading a book about medieval Europe. That’s fine for me, but what if you don’t dig history like I do? There are video games for just about any topic; it doesn’t even have to be one of the basic school subjects. Any game – be it a shooter, an RPG, or any other genre – can spark an interest and lead to learning. What if it’s a fantasy game? Final Fantasy, The Elder Scrolls, and World of Warcraft are each full of rich lore, oftentimes with parallels and allusions to real-world folklore. Congratulations, you just expanded your mind! So, pick your favorite game, or one that you’ve been playing recently. What intrigues you about it? It doesn’t have to be the main theme of the game, maybe just an isolated event or an oblique reference. Take a moment to look it up; you never know where it could lead you.